When we visit Netflix, YouTube, or Amazon, we take personalized recommendations for granted. These services have been exploring our behavior for a long time and today know us well enough to engage us or suggest a valuable buy tailored to our preferences. The situation is slightly different for travel experiences. 1) The industry players are usually aware of personalization opportunities but have limited to no understanding of the underlying technologies. 2) Those that already practice personalization have achieved impressive results even after fractional implementation. It seems, there’s a gap. The early adopters have an immense chance to make a significnt leap leveraging personalization techniques because the technology is already there. Those that allow the initiative to snooze for a while may miss the train and stay way behind the competition. This time we explore how to successfully personalize travelers’ experiences capitalizing on the main technology enablers of your OTA, hotel, or airline applications. Personalization is what enables software to tailor itself to service a specific customer. Here, we’ll talk about digital and automated personalization only. Sometimes, the term is used interchangeably with the idea of marketing segmentation, which is not totally correct. Segmentation entails learning your customer groups and aligning the overall service stack and user experience with them. Basically, it’s making one-size-fits-all solutions. 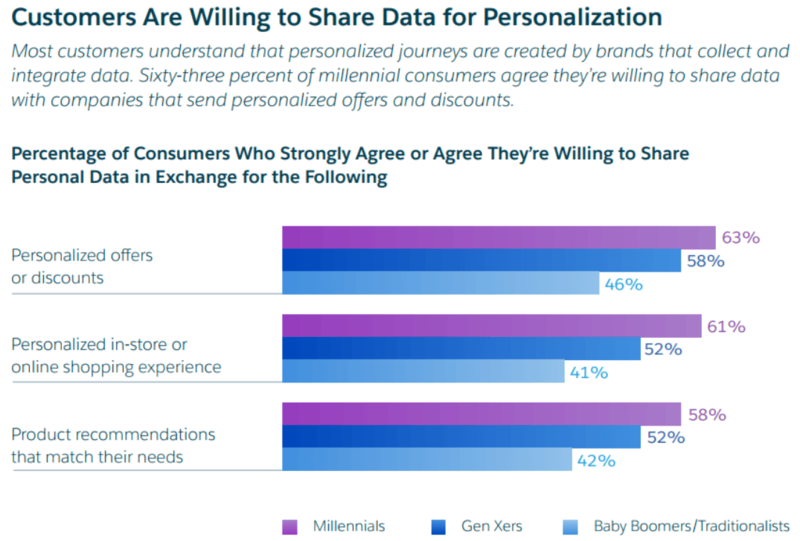 Personalization, in the digital world, takes it a step further. It allows for marketing specific services to each customer individually based on their preferences, after the segmentation groundwork is done. So, let’s talk about the implementation requirements for each in more detail. Making your website rich with useful content is good in itself. Most travel-related purchases are preceded by in-depth research. And, according to Expedia, travelers visit 4.4 separate websites and spend about 38 sessions prior to making a travel purchase. The Sabre report mentioned above claims that 65 percent of travelers want to see detailed information on travel suppliers, including on-time arrival ratings, in-flight amenities, hotel room services and facilities, etc. So, making your visitors stick longer with your website to explore all details is a smart approach. But there’s another reason from the personalization perspective. Personalization is all about acquiring detailed user behavior data. The information about the user’s interests allows for assuming what he or she may like in the future. To gather this data in the first place, you should have enough content for users to interact with. Here’s when minimalism isn’t the best idea. You want to know every piece of information the users are interested in and whether it impacts the final choice. 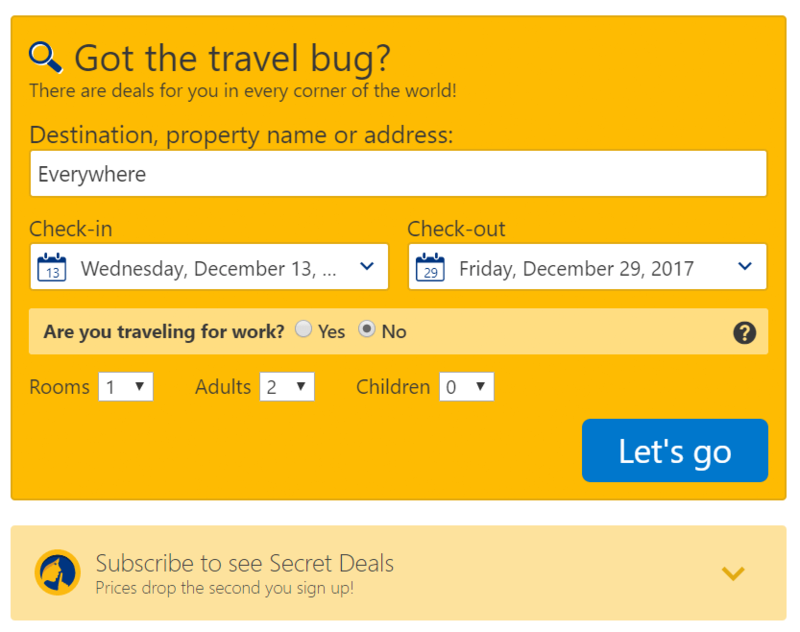 Consider how many details are provided at Booking.com. On the hotel page users can explore the pictures of the accommodation, learn about facilities including info about pets, check-in and check-out time, reviews, closest landmarks and restaurants, and more. For instance, you may find that users that are interested in aircraft amenities are more likely to be business travelers than leisure ones. This is just a single variable which won’t be enough for definite conclusions. But combined with other signals, it makes segmentation and further personalization more precise. Data that you can track comes in many flavors. Let’s look at the main types to consider. Although metadata is not exhaustive, it provides a lot of information that help draw the customer’s portrait and outline some of her needs or interests. These details aren’t very enlightening considering your personalization endeavor, but they are the most reliable. The thing is, you will never have enough information about each user at any given moment. There are always going to be newcomers that you know nothing about or just the guys who cleared their cache and your algorithms consider them new. Here’s when metadata is useful. 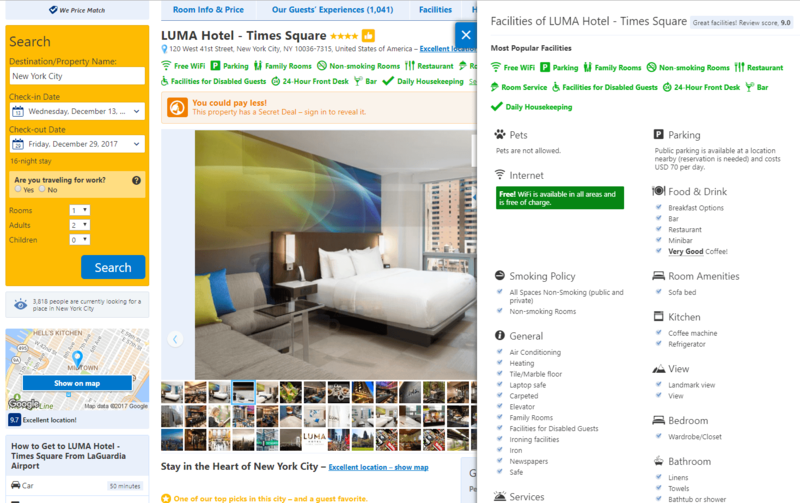 Imagine that you’re aiming at a real-time hotel search feed. If your visitors come from the ad banner that suggests hotels in the centers of European cities, this referral information is enough to rank hotels located in downtowns higher. Obviously, metadata is not enough. User behavior data. This the data that is you collect based on the specific actions made by each user that visits your website. That’s where the sweetest info sits. It provides detailed user data that you’re mostly going to use for your personalization. We won’t enumerate all possible variables, just a few major ones. This data can tell what your customers value the most, what their additional preferences are, etc. We’ll talk about the use cases below. While it’s not the rarest data, it definitely is the most valuable and unique information that will differentiate your personalization product from the rest of the market. The good thing about CRM data is that it’s easy to combine with at least part of the behavior data. You may miss the behavior data on your website that relates to preliminary research if the customer was not logged in, but you’ll capture behavior that corresponded with the purchase session. Geolocation data. Basically, geolocation tells you where your customer is at any moment in time, often with a 10-meter radius precision. That’s a rare type. In most cases, it will be useful during a trip, given you acquire it through the app on your customers’ phones or through wearables. You’ll be able to send location-relevant messages if you know where your customers are. If your customer had just checked into a hotel and breakfast service was over by that time, you may send recommendations on the nearest restaurants. People will be pleased to know where to grab a bite after a long flight. Social media data. Eventually, you may use customer social media activities and base personalization on it. According to Amadeus, 90 percent of US travelers share their trip experiences online. So, social media is a land of opportunities. This data is very useful in understanding when the trip is over whether travelers liked the service you’ve provided. But the problem with associating your customers with specific social media users is even more evident. If your users log in via their social media accounts, it’s feasible. Also, you should look at legal restrictions for this type of data collection. Unifying data relies both on management and technical effort. Management role. The management role is to reduce data fragmentation by breaking down the siloes. The management should actively evangelize data transparency across departments and corporate branches to help build knowledge bases for collecting data from all sources and departments. Technical role. The data that you collect should be unified. This doesn’t mean you need to build all tracking tools from the ground up. The records that you collect through Google Analytics will suffice for metadata. The same works for the rest of data types. However, if you opt for deep tracking with all variables possible, it’s better to consider custom solutions. According to our experience, building a Frankenstein monster out of multiple services isn’t the best strategy. First, you’ll need to set up a complex REST API infrastructure and rely on third-parties that may not be that stable. Second, such an approach isn’t scalable. For more information on the topic, consider reading our story on preparing datasets for future data processing. Marketing segmentation is a well-known technique. Marketers have been building user profiles and personas for decades, using such variables as age, geography, gender, social development, etc. Today, the traditional list of features is not enough as modern personalization may include hundreds of variables to account for. 1. Using explicit data. You can segment customers by explicit data variables that you have. For instance, you can segment single and group travel purchases or make segments by destinations (popular and unpopular). These variables should be available after you’ve done the data collection homework. You may also ask users directly for some details. 2. Using data mining techniques. Data science has been making revolutionary changes in various business areas and travel personalization is no exception. By using unsupervised learning techniques like clustering you can get deep insights into your segments. Unsupervised methods will find specific groups of customers that you’ve never considered or couldn’t distinguish by simply looking at your existing datasets. Business travel, leisure travel, and bleisure. Yes, business+pleisure. This type is quite popular as business travelers don’t miss the chance of sightseeing in between meetings and conference activities. Generally, business travel is less price-oriented and mostly focuses on convenience and timeframes. Grades of conversion likelihood. Using scoring algorithms and dividing visitors by conversion likelihood will help optimize efforts and resources, ranging from ads campaigns to computing power. If you can detect early that a website visitor isn’t likely to convert, is it worth trying? Price vs Value Orientation. It’s one of the most basic types that you can imagine, but still, very useful. For instance, about a half of all air travelers that book through OTAs are price-oriented, e.g. they pick the most affordable deals and don’t care much about meals in airplanes, long layovers, and claustrophobic seating provided by low-cost carriers. Singles, pairs, and families with children. These groups are relatively simple to detect and then make value offers to. They stay in different types of hotels and pick different types of leisure activities. Length of stay. This data is helpful in prioritizing and configuring additional value suggestions depending on the duration of stay. Booking channels. There are plenty of ways to book the same room or flight, ranging from OTAs to GDS and direct bookings. This type of segmentation can provide additional insight into the types of audiences that use these channels. For instance, direct bookings may be the signals of brand-driven purchases, while the OTA buyers may consider price-focus, etc. Cognitive and affectionate buyers. Some studies suggest that cognitive-oriented buyers take the utilitarian approach trying to balance convenience with price and time. Affectionate buyers are prone to individualized suggestions and travel shopping behaviors. This list isn’t nearly exhaustive. And the more types of segmentation you can combine, the higher chances are that you’ll make a precise personalization hit. But the problem here is rather if you can account for all segments you have and tailor suggestions. Another problem is that segmentation isn’t personalization. It still suggests bulk recommendations for relatively large groups of users. 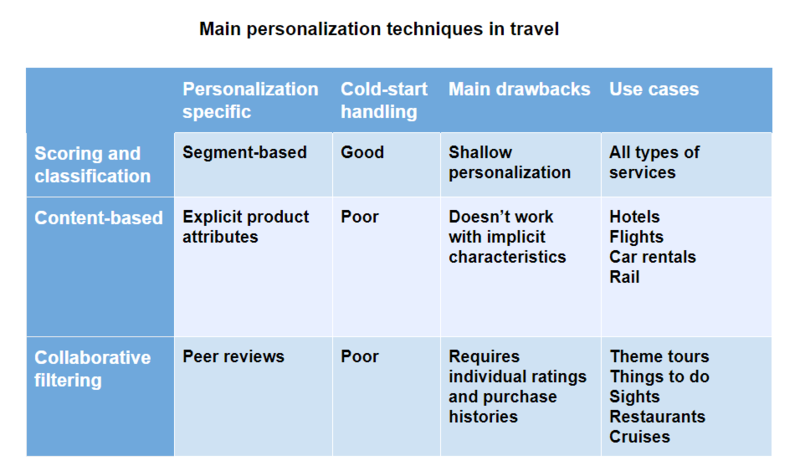 That’s why segmentation is a great technique on the initial data analysis stage that further simplifies personalization aimed at individual travelers. When it comes to predicting user preferences, things get trickier. You must devise machine learning-based engines that will be able to predict preferences. And they’d better do this in real time. There are general and industry-specific problems with the technical side of personalization. General problems relate to the cold-start issue. It simply means that a new user hasn’t left enough data to personalize for him or her. The industry-specific problems concern the lack of feedback that you’ve received to make better predictions. Unlike Netflix where people tend to rate movies, travel purchases don’t usually have working feedback instruments embedded into the system itself. So, let’s look at the basic and advanced prediction techniques that can be applied in the travel industry. Scoring techniques and classification. Scoring methods work the following way. Every action that a user does alters his or her individual score. Different scores match different segments. After a couple of minutes, the systems gain enough user behavior data to classify users by segments. This solves the cold-start problem as the engine can make some of the predictions based on initial data. As users spend more time on a website, the algorithm gains confidence about which segment this or that user belongs to. This technique can be enhanced by building complex methods based on the decision trees. This allows for further categorizing users within their segments, especially if they have recurring sessions on a website. Decision trees can also be used to differentiate visitors based solely on metadata. The problem with scoring and classification is that it fits well for basic personalization tasks. You simply divide your customers into groups and make bulk suggestions to these groups. For instance, if you personalize the hotel search feed in an OTA, you can suggest more expensive downtown hotels to business travelers and cheaper rooms for leisure ones. While this isn’t yet personalization, such systems partly solve the problems with data lack and sparsity. However, real personalization starts with users that have already left some data. The downside of this approach is that you miss all data that isn’t included in explicit characteristics. Impolite personnel, poor room cleaning, bad food, and things like that aren’t captured by content-based filtering. And there’s another group of services that you can’t use this approach for. What if you try to personalize something like theme tours where there aren’t enough explicit characteristics? For instance, affectionate buyers may be looking for unusual Asia tours with bright cultural experiences. Another case is restaurants. They may have evident attributes such as prices, location, type of cuisine, etc., but you can’t account for holistic experience in restaurants using these attributes only. When there isn’t enough product data to base predictions on, you can apply peer-based systems. Collaborative filtering. The core idea of collaborative filtering is to suggest those items to users that other similar users liked before. The approach generalizes a wide variety of machine learning methods, the most common of which is matrix factorization. Matrix factorization forms profile matrixes for each user and fills in missing values in one matrix based on the info from the matrixes of similar user profiles. While collaborative filtering is one of the advanced techniques, it becomes mainstream in recommending systems across industries. For instance, it’s used in the Netflix recommender engine, as movies don’t usually have explicit attributes besides genres. Collaborative filtering can also be applied in the travel industry. It is useful for all products and services that don’t have enough explicit attributes. These may be restaurants, sights, places of interest, theme tours, etc. Hybrid techniques. And you can use combinations of these methods to account for all types of personalization problems. For instance, you can make basic recommendations using scoring techniques or just use them to make initial segmentation work. And further you may use both collaborative filtering and content-based filtering if you have multiple types of products with different attribute availability. The intricacy of personalization isn’t only about data science. It’s also about what you can suggest based on data you already have. So, we’ll name both the basic and the more advanced things you can do. Personalized search engines. That’s the first and most straightforward thing you can imagine. As your customers look for hotel, flight, or tour options the system makes tailored suggestions based on their previous behavior. Personalized emails. That’s a relatively simple approach that doesn’t require much additional engineering effort, given that the data science groundwork is completed. According to an eMarketer.com survey, across industries, 80 percent of personalization is delivered via emails. This can also be stretched to social media and SMS campaigns. Retargeting campaigns. If you segment your customers by grades of conversion likelihood, you can optimize your retargeting campaigns by making higher bids on the most budding travelers, those who are more likely to make a purchase. Website layout and copy. According to United Airlines, their personalization system adjusts the website layout sections and even copy to target different customers after 200-millisecond page load delay. While this sounds like a heavy lift, it really isn’t as you can customize different on-site packaged deals or suggest flex search straightaway, if your customer is a leisure, price-sensitive traveler. In-travel suggestions. If you have geolocation data, you can send notifications to users about nearby restaurants and things to see. If you also provide air-travel services, geolocation data can be used to support the boarding experience. And last, but not the least, feedback is another type of data you can collect and analyze. Although you can suggest something that matches traveler preferences and even persuade them to make purchases, you don’t know if a traveler liked the experience. The problem here is that travelers don’t usually leave their feedback right in the place where they made a purchase. 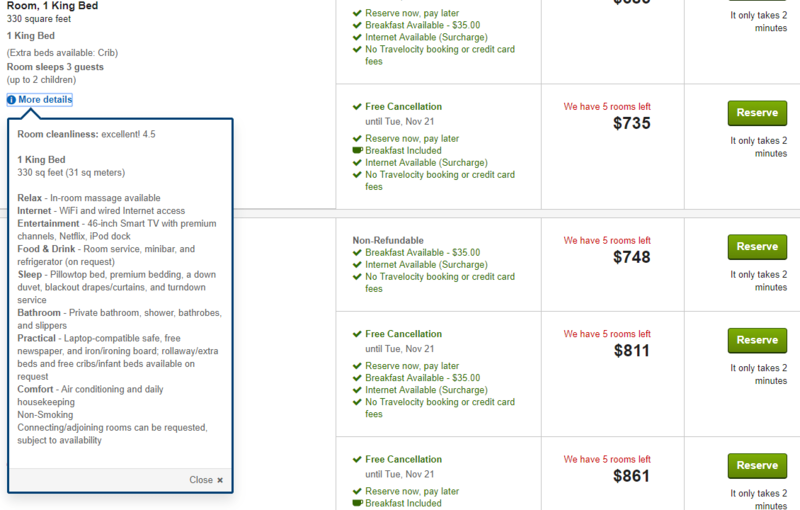 Let’s have a look at the options you have besides such evident feedback as recurring purchases from a given traveler. Encouraging reviews for rewards. It’s likely that your customers will intend to leave feedback in social media or dedicated travel review websites rather than your own rating system. That’s why, such incentives as discounts, miles, or internal currencies can be very useful for travelers encourage them to leave reviews right at your site. 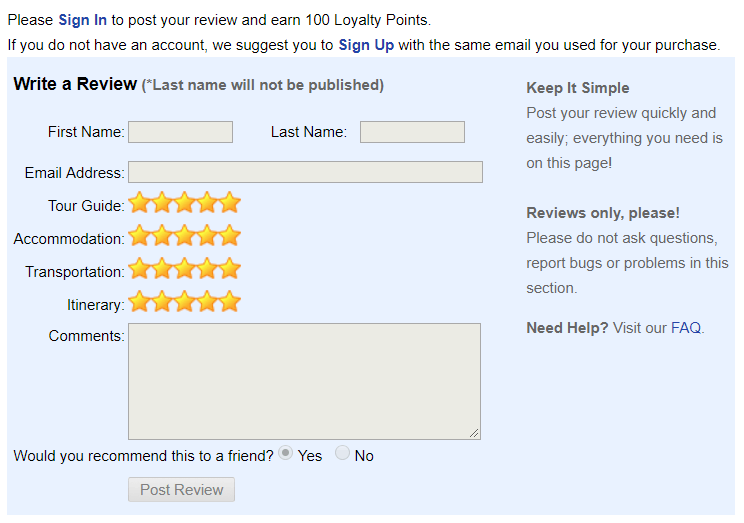 This is the most reliable source of feedback as reviews and ratings will be directly sent to a specific user profile. TakeTours.com suggests writing reviews and earn points that can be redeemed for further purchases. Using third-party data. Using data from third-parties like social media or reviews platforms is difficult as 1) you must associate users with your clients, 2) you have to account for legal limitations. The TripAdvisor API, which we covered in our story on main travel APIs, provides personal reviews and allows for embedding TripAdvisor widgets on travel websites, but its terms and conditions restrict any data analysis. So, always check the legal side of the problem prior to considering third-parties. To wrap up, let’s discuss some of the challenges that may crop up while adopting personalization and recommendations for tackling them. Start simple and use loyalty programs data. Don’t try personalization for everyone from the start. You won’t have enough data from every customer, so the best approach here is to use information that you already have for your most valuable customers and proceed from that point. Don’t rely on the sole data that you have, do verification groundwork. Michael Berry, TripAdvisor analytics director, told an anecdotal story about biases that you may have in data. While researching international rates of rooms, he found that the average rates from Lesotho and Botswana were higher than those from Switzerland and other developed destinations. It appeared that only high-end hotels in Lesotho and Botswana had online representations, while the rest were operating purely offline. Try finding anomalies in your data to avoid predictions based on biased records. Watch for legal restrictions. 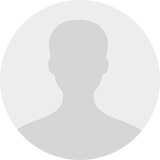 All personalization tasks require user profiling to some extent. That’s why you should be sure to check legal restrictions in countries where you operate. For instance, from May 25, 2018, the European Union will apply a new data protection Regulation that is aimed at providing EU citizens with broad control over their personal data. It sets a number of new standards. In the US, user profiling is secured by the General Data Protection Regulation that requires organizations to allow individuals to exercise their rights, namely, refuse automatic data processing and decision making. Let your users know the value they are going to receive as they give consent to use their data. The privacy issue is important in terms of the value that users expect. As multiple surveys suggest, more than half of web users are very likely to share their personal data in exchange for improved value propositions. So, proper communication is required to get the data you need. Personalization is something that you can’t bypass. Gradually, it transitions from value-added capability to necessity. According to Segment.com, 49 percent of those who receive valuable personalized offers are likely to become recurring customers. So, if you still don’t personalize, consider doing it now.